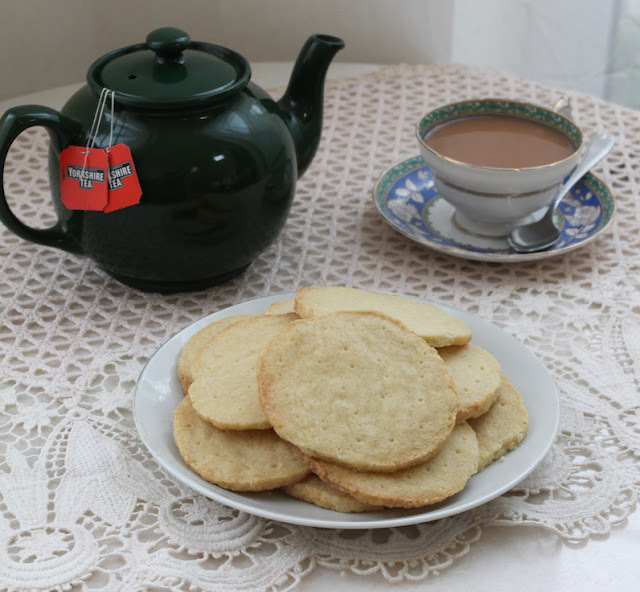 Rich tea biscuits are a British classic, baked up crispy so they are perfect for dunking in a cup of hot tea. 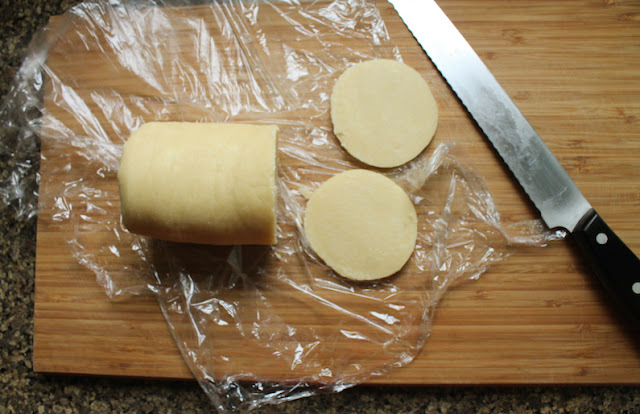 Use my "lazy cow" method to avoid rolling out the dough and using cookie cutters. 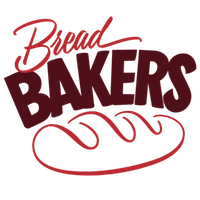 In the many years I’ve been watching the Great British Bake Off or GBBO as it’s known for short, I’ve learned a lot about British classics as well as traditional baked goods from other countries. Paul Hollywood and Mary Berry are both a wealth of baking knowledge. There’s just one thing I have to disagree with. Paul maintained throughout the series (and I’ve heard him say it elsewhere also) that the difference between biscuits and cookies is that biscuits are crisp, while cookies are softer. 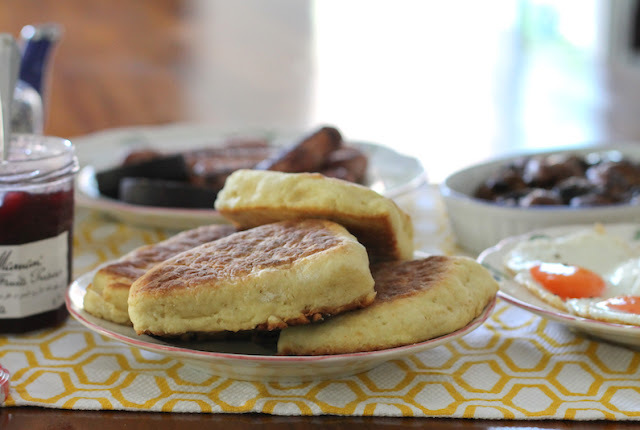 But if we are talking American English, biscuits are fluffy baked quick bread akin to British scones and cookies can be both crisp and soft. 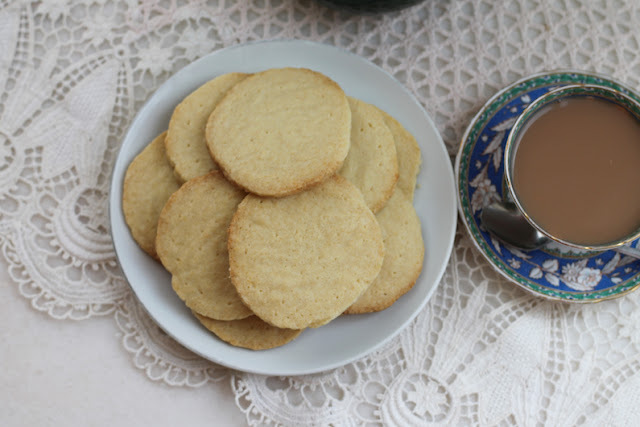 In all my many years of visiting the British Isles and hanging out with British friends, I have never heard them use the term “cookie” for anything traditional that they bake. I tell you all this as a preamble to today’s bake. They are indeed crispy, so even Paul Hollywood would call these rich tea biscuits. That said, traditional rich tea biscuits are rolled out and cut into circles. Which is my least favorite way of making cookies or biscuits. Blessedly, the circle is the classic shape for these guys, so I rolled the dough into a log, partially froze it, and then sliced it into circles. So these are my “lazy cow” rich tea biscuits. 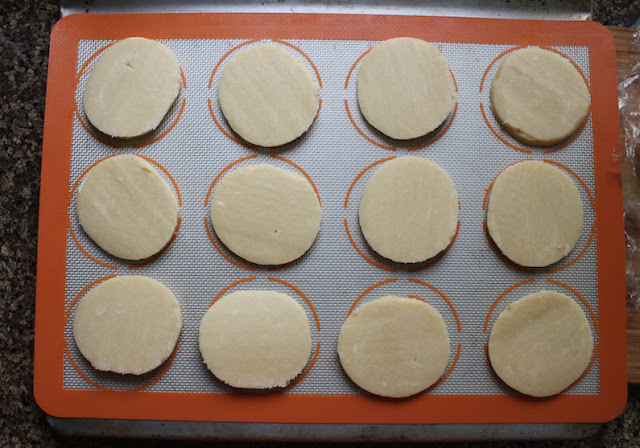 To everyone else who hates to roll dough, but loves rich tea biscuits, you are welcome. 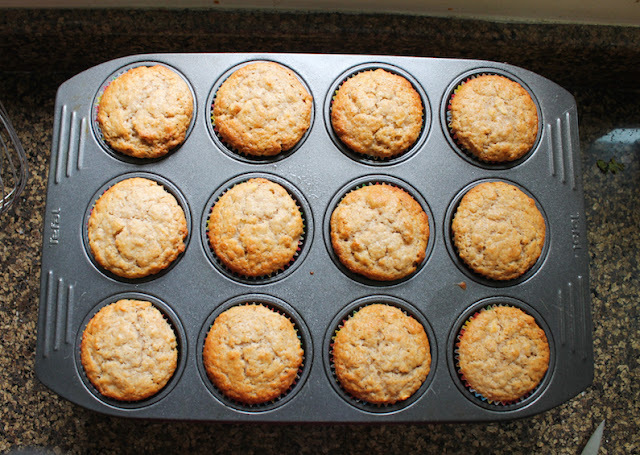 Adapted from this recipe on The Baking Bar, where David does it the old-fashioned way. Because he's not a lazy cow. Apparently. Line your baking sheets with baking parchment or silicone liners and set aside. 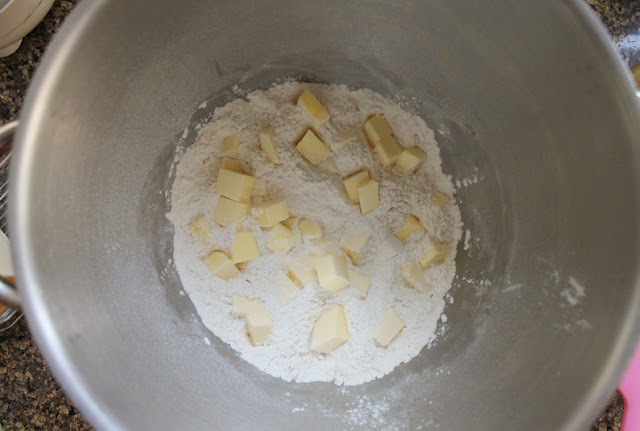 Mix the flour, sugar, baking powder and salt together in a large bowl. Add the butter, cut into cubes. 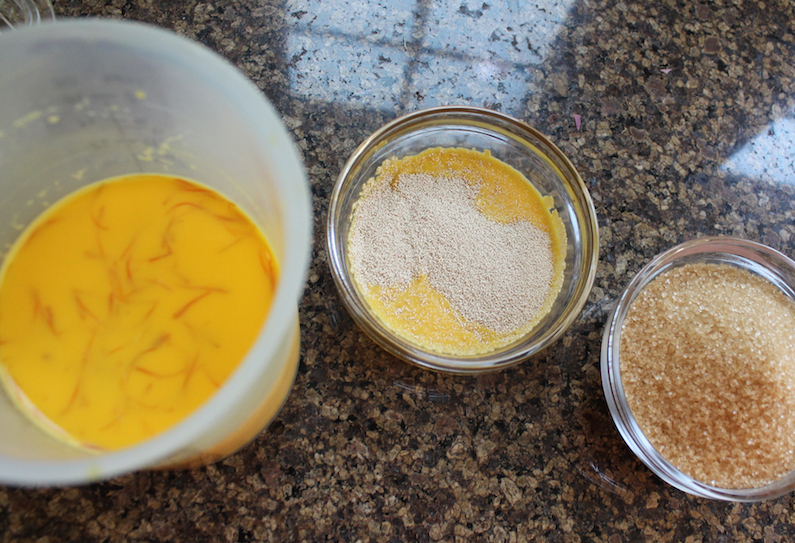 Use your fingers or a pastry blender to mix in the butter till the mixture looks like crumbs. 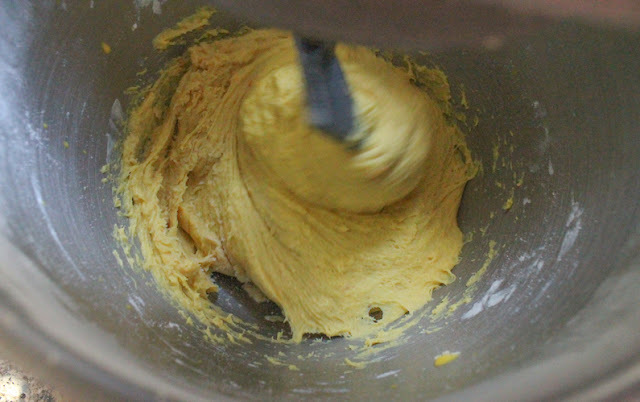 My kitchen is always too warm and my hands are too hot, so I use the pastry blender. Add in the milk and the vanilla and use a fork to combine. 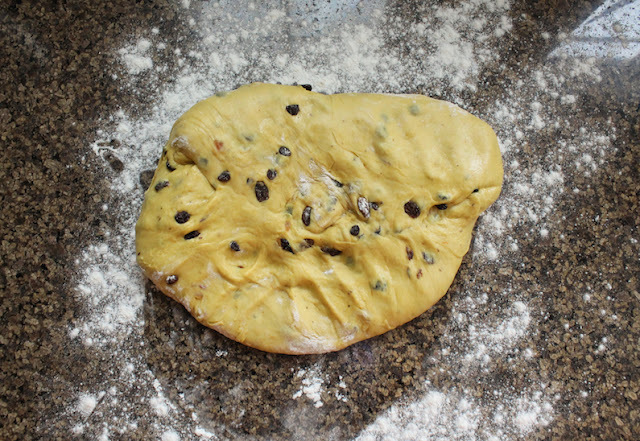 Use your hands to bring it all together into a firm dough. 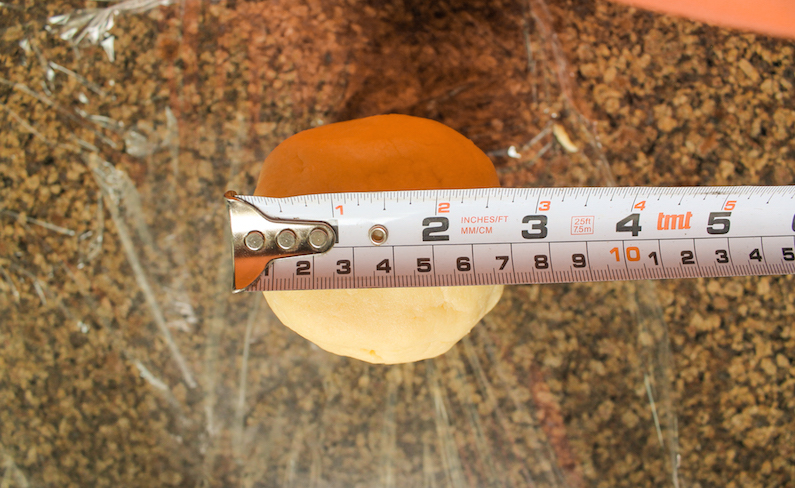 Roll the dough into a thick log about 2 3/4 in or 7cm in circumference, shaping the ends flat. Wrap it in cling film and pop it in your freezer, standing it on one end so that the log retains a nice cylindrical shape. Set a timer for about 40 minutes. When the timer is nearly up, preheat the oven to 375°F or 190°C. Use a sharp knife to cut the log into slices about 1/4 in or 1/2cm thick. 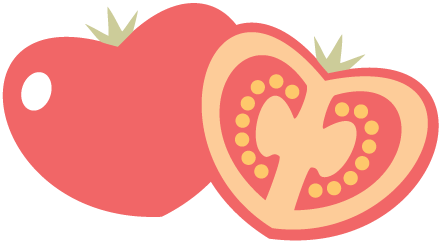 I find a sharp serrated knife works best because you can "saw" the slices off without pressing the log out of shape, which gives more circular circles, if you know what I mean. Put your dough circles on the prepared baking pans, leaving room for some expansion as they bake. 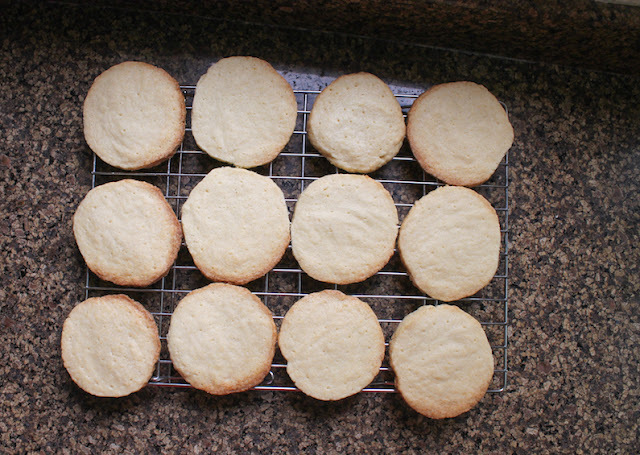 I used a toothpick to make little holes all of the circles, just like the store-bought rich tea biscuits but I could have saved myself some time because they weren't really visible after baking. Feel free to skip this step. 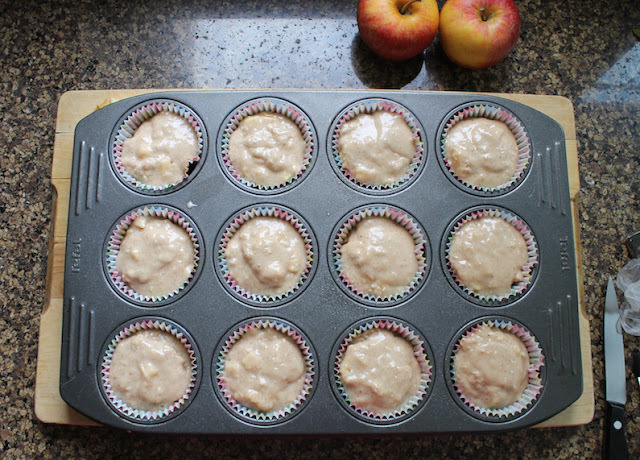 Bake for about 8-9 minutes in your preheated oven. 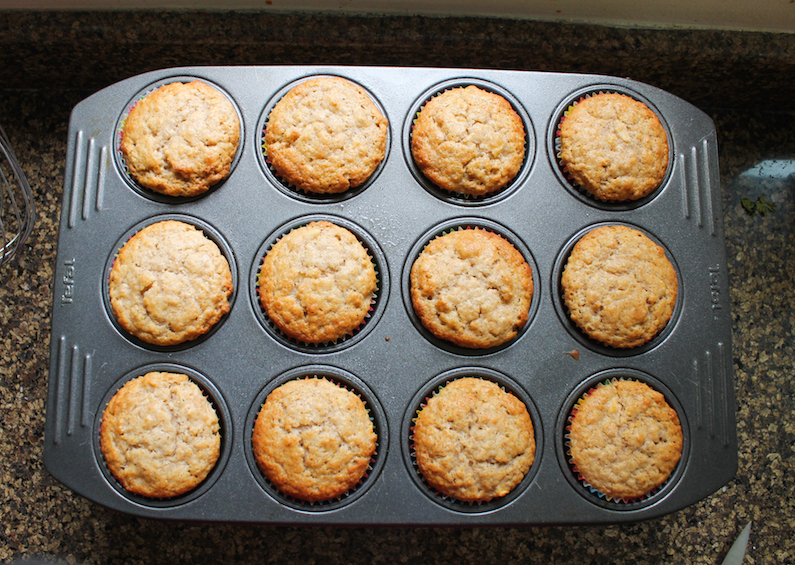 Ideally, you want them baked through but not brown. Mine are a little darker around the edges than a classic rich tea biscuit should be. Leave to cool for a few minutes on the pan and then transfer to a metal rack to cool completely. They will crisp up as they cool. 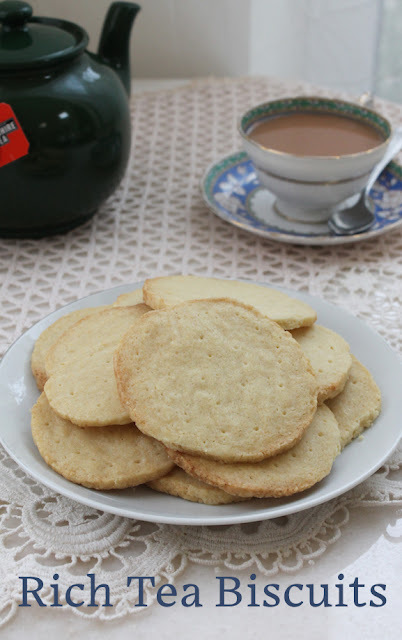 If you like cookies or biscuits with your tea, you are going to love this month's Creative Cookie Exchange link list. Check out all the great teatime treats we have for you today! 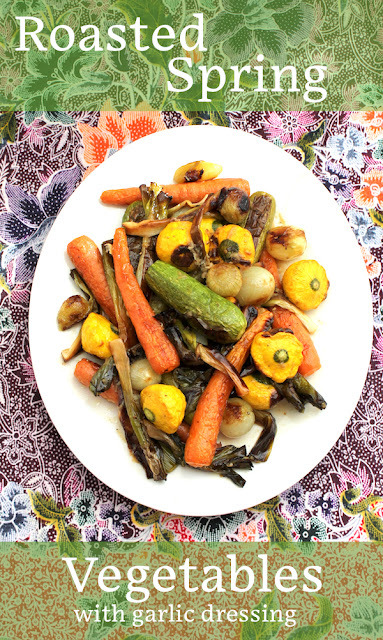 A good roasting in a hot oven brings out the best in most vegetables. Theoretically a side dish, I love a plate of these for a vegetarian main course. 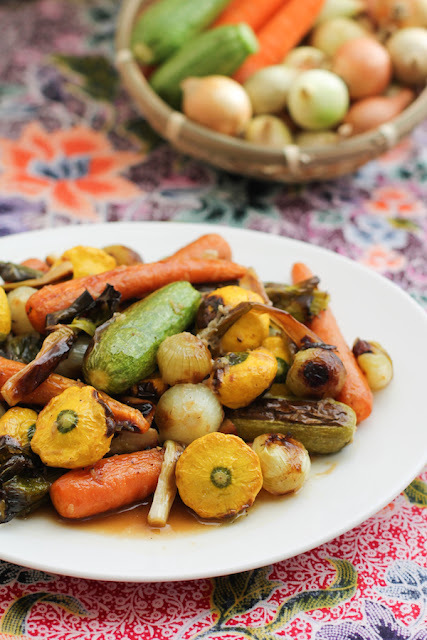 When you add a garlicky dressing, your roasted spring vegetables can be elevated to center stage. This week my Sunday Supper group is sharing easy spring recipes. Which puts me in mind of baby vegetables and spring lamb. Fortunately a nearby supermarket that always has a stock of baby veg so I picked up a selection. I ended up not using them all because my pan was full and if you want caramelized roasted spring vegetables, it is key not to crowd them in the pan. If the baking pan is too full and there’s not room for air to move between the vegetables, they’ll just steam together and will not roast. Left behind were tiny bulbs of fennel and baby corn. Now I need to think of another recipe to make with those! Preheat your oven to 400°F or 200°C. I have a convection fan that I like to use for roasting as it circulates the heat more evenly. If you don’t, you can turn the oven up a few degrees to compensate. 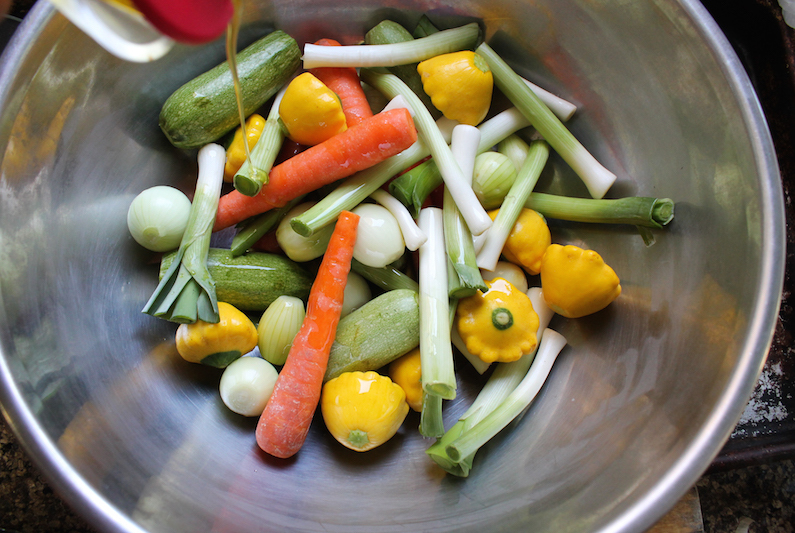 Trim the vegetables of stems and scrub them clean. Since they are tiny, leave them whole. Pile them in a large mixing bowl. Drizzle the olive oil over them and toss to coat. 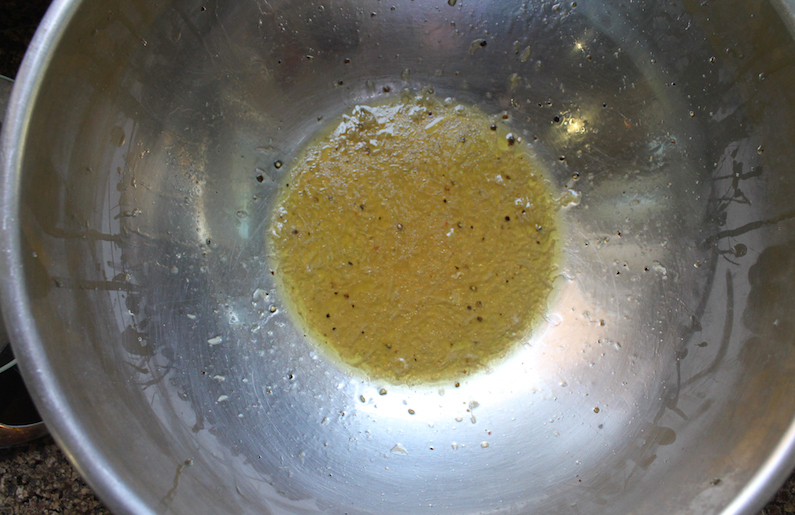 Sprinkle on some fine sea salt and give the veggies a couple of good grinds of black pepper. Toss to disperse the salt and pepper. You can use salad spoons but clean hands work the best. Plus, you are going to use your hands in the next step so might as well get them dirty. 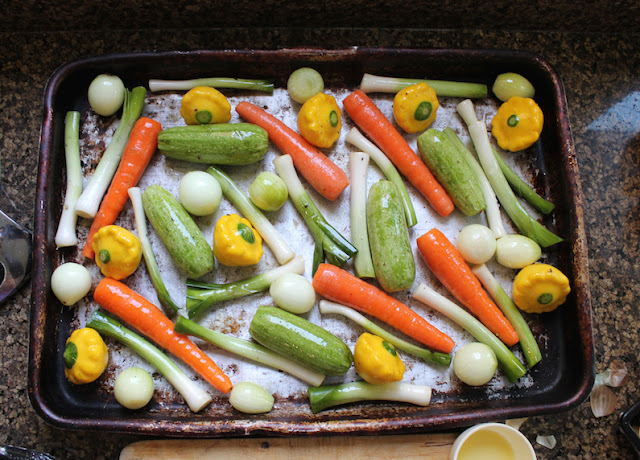 One by one, transfer the vegetables to a large baking pan, spacing them evenly. 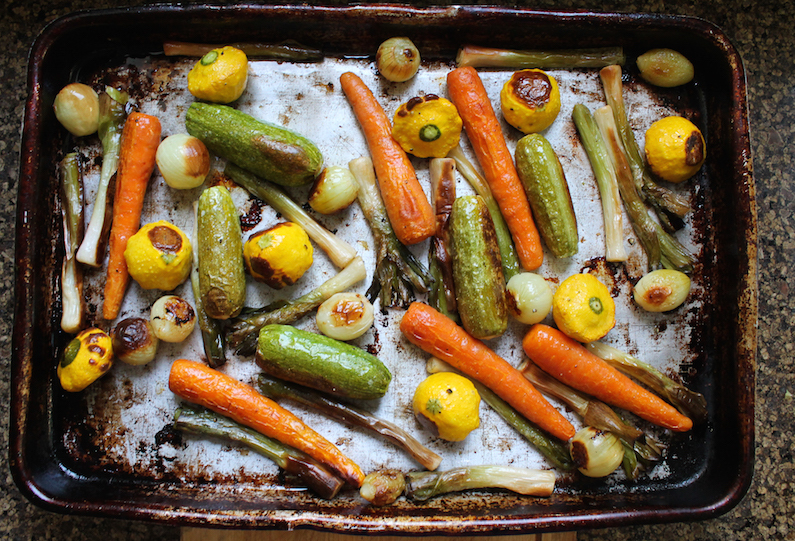 Put the vegetables in the oven to roast for 30-35 minutes or until they are golden and possibly a little charred in places. There will be seasoned oil left in the bowl. We are going to use it for the dressing. 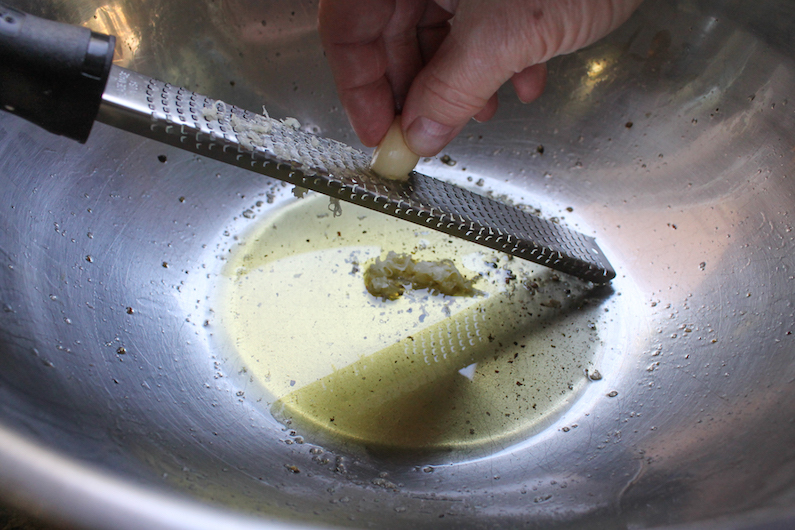 Grate or mince the garlic cloves into the oil. Add in the vinegar and honey and whisk to combine. Add another good pinch of salt and more freshly ground black pepper. Set aside. 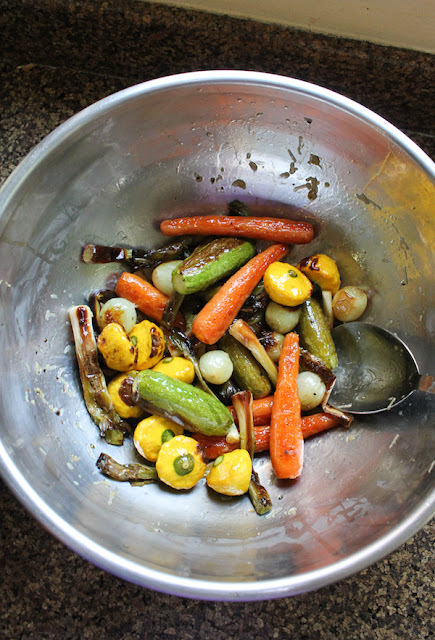 When the roasted spring vegetables are ready, remove them from the oven and scrape them and any sticky bits from the pan into the bowl with the dressing while they are still hot. 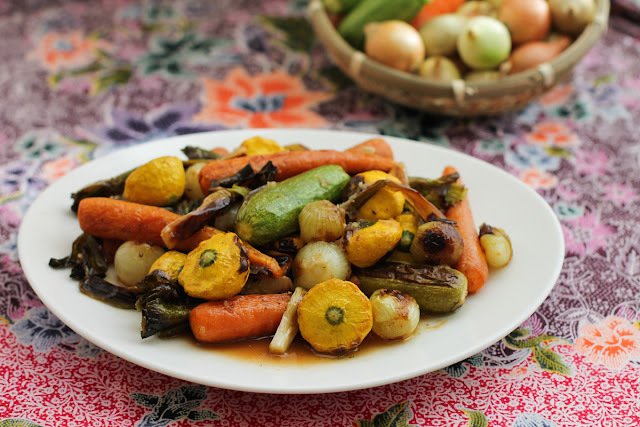 Toss or stir to coat the vegetables with the dressing. Serve warm or at room temperature. As I mentioned, this week our Sunday Supper tastemakers are sharing easy spring recipes. Check out this fabulous link list. Many thanks to our host, Anne of Simple and Savory and our event manager, Cricket of Cricket’s Confection. 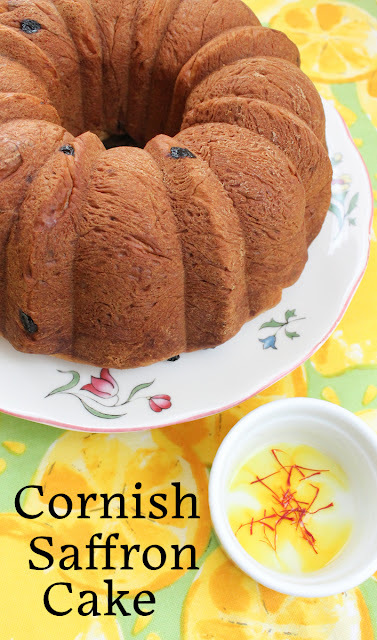 Cornish Saffron Cake is a traditional bake from Cornwall, made with an enriched yeast dough, flavored with saffron and sweetened with sugar. 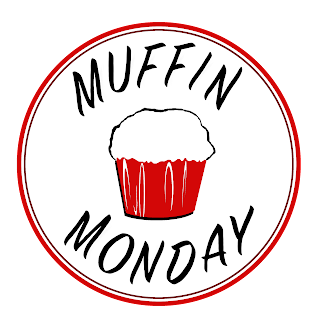 It is generally served plain or with lashing of butter or even some clotted cream. 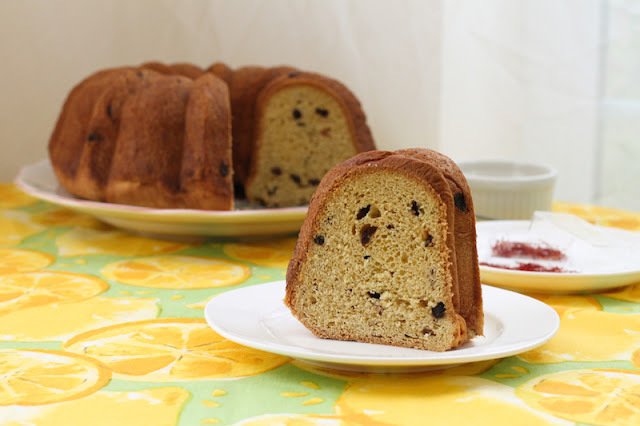 This month my Bundt Bakers group is being hosted by Felice of All That’s Left Are The Crumbs. Her theme and in this case, challenge, was to bake a Bundt cake that uses yeast for leavening. 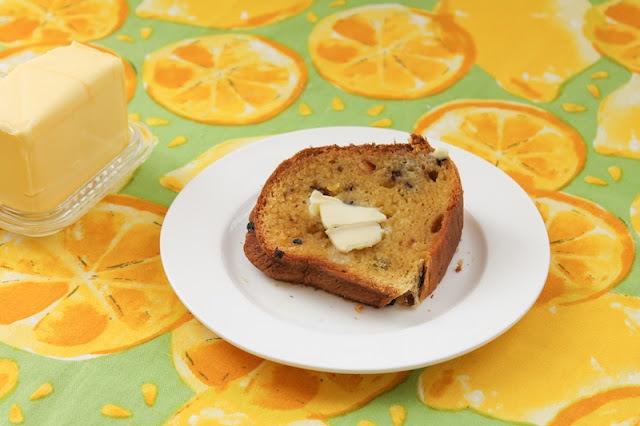 I must confess that when I started scouring the internet for ideas, Cornish Saffron Cake came up after a simple search for yeast cakes. “Excellent!” I exclaimed, making my furry sous chef jump to alertness, and wrote it down in my notebook. Just from the title, it sounded like a winner. I have saffron, some really good quality saffron, and I’m sure the good people of Cornwall would not have kept making Cornish Saffron Cake for all these centuries if it wasn’t good. But here’s the rub. When it came time to bake and I actually started reading the (many!) 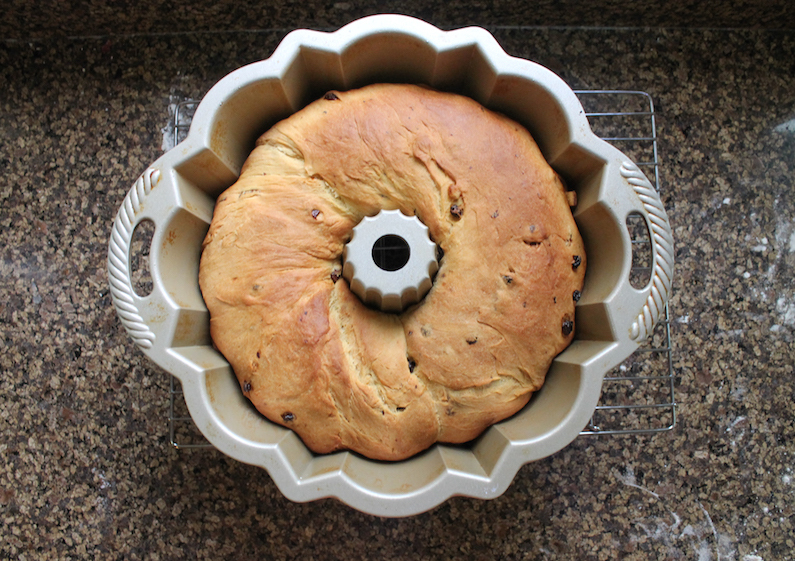 recipes, it turns out that Cornish Saffron Cake isn’t really cake at all, but more of a sweet bread, with mixed dried fruit. 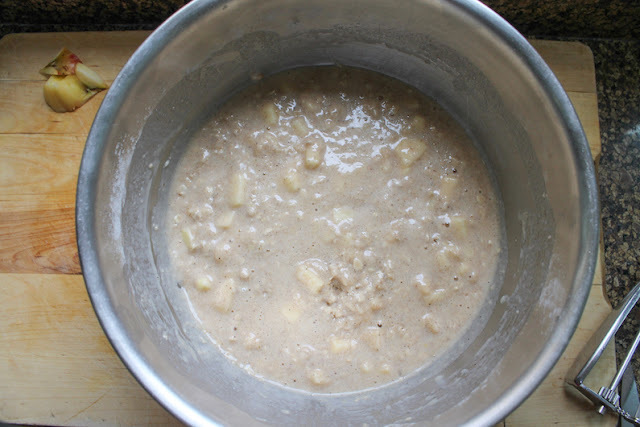 The dough is traditionally baked into buns or in a loaf pan. So, would it qualify for the challenge? 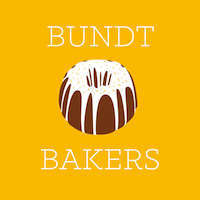 I headed back to our Facebook group to ask and saw that someone else had just asked a question about the nature of our yeasty Bundts: Could the Bundt be savory? 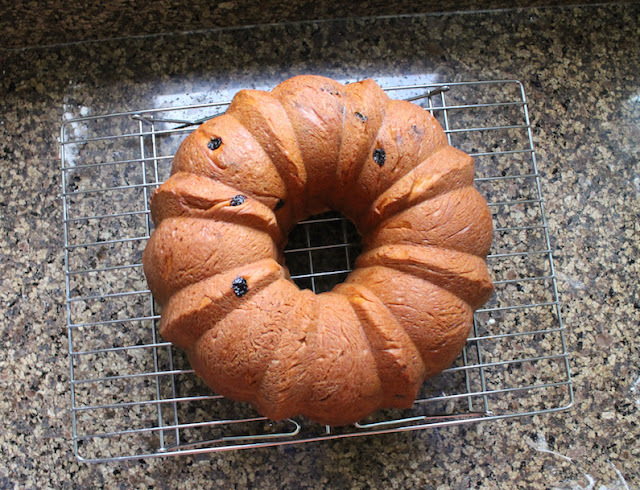 When Felice said “sure,” (and I saw that her own recipe title was Hot Cross Bun Bundt) I knew that my sweet bready “cake” would probably be fine as well. I ended up slightly adapting the ingredients from this recipe on Baking for Britain. Note: Back in the old days, when sterilization was an issue, every bread recipe included the instruction to scald the milk first. 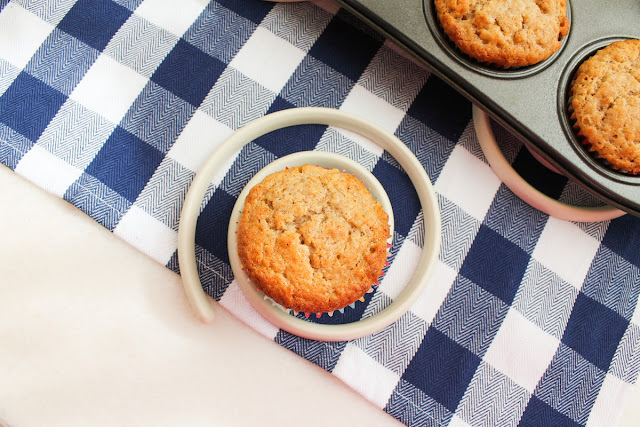 I won’t go into the reasons why or explain the method because my friend, Jenni, at Pastry Chef Online has done a remarkable job with both in this Fundamental Friday post, if you are interested. But since I was going to heat the milk to infuse the saffron, I thought, might as well scald it. 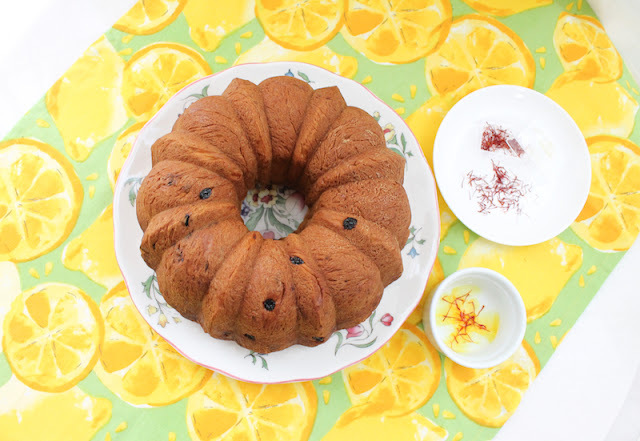 Liberally butter a 12-cup Bundt pan and set aside. Put the saffron in the milk and leave to infuse for an hour or two, or even overnight, in which case, put the milk in the refrigerator after it has cooled off so it doesn't spoil. When you are ready to bake, warm the saffron milk up again to about 110–115°F (115°F=46°C.) Put 1/4 cup or 60ml of it in a bowl and add the yeast and a tablespoon of the sugar. 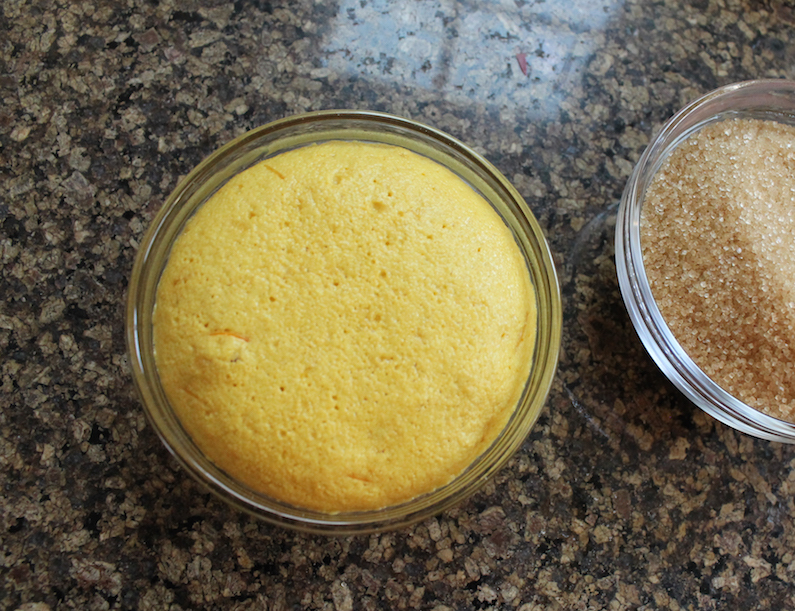 When the yeast is activated and bubbling, you can add it back into the rest of the saffron milk. 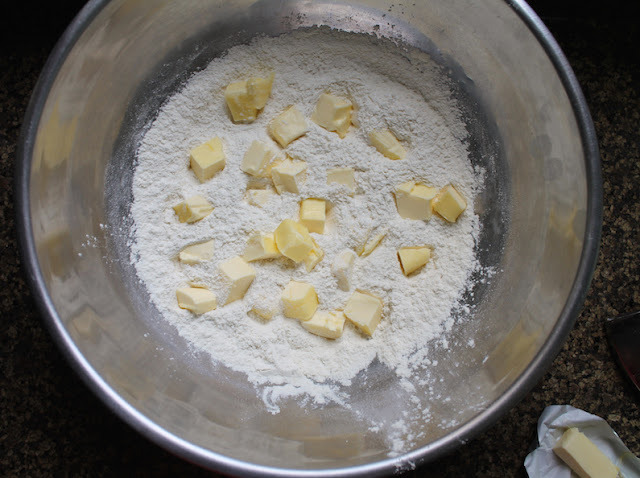 Measure your flour into the mixing bowl of your stand mixer and add the butter cubes. 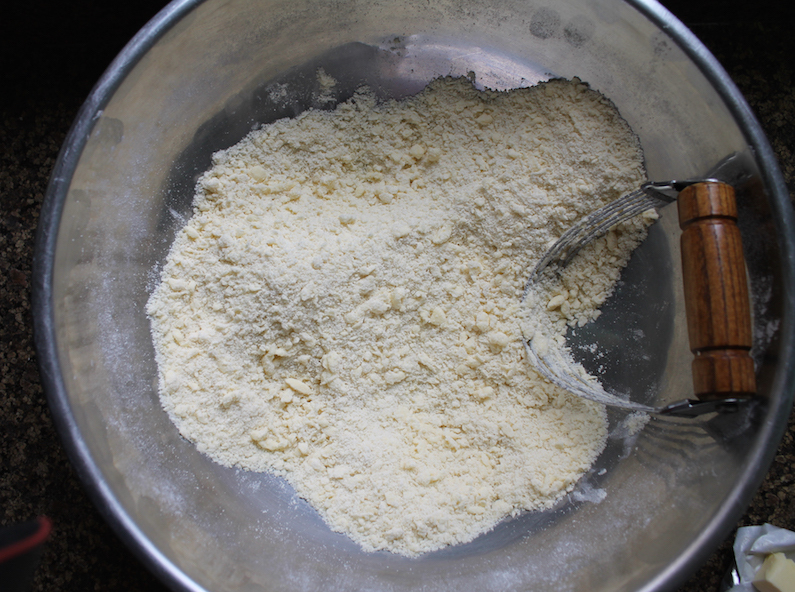 Use a pastry blender or your hands to mix the butter into the flour until it resembles sandy crumbs. 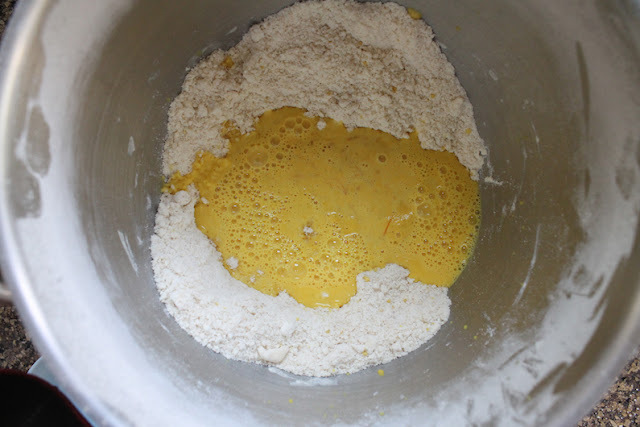 Make a well in the middle of the flour/butter mixture and pour in the yeasty saffron milk. Use the bread hook on your mixer – or indeed, your hands, but this is a wet sticky dough so if you have a mixer, that’s a good thing – to combine the milk and flour until you have soft dough. 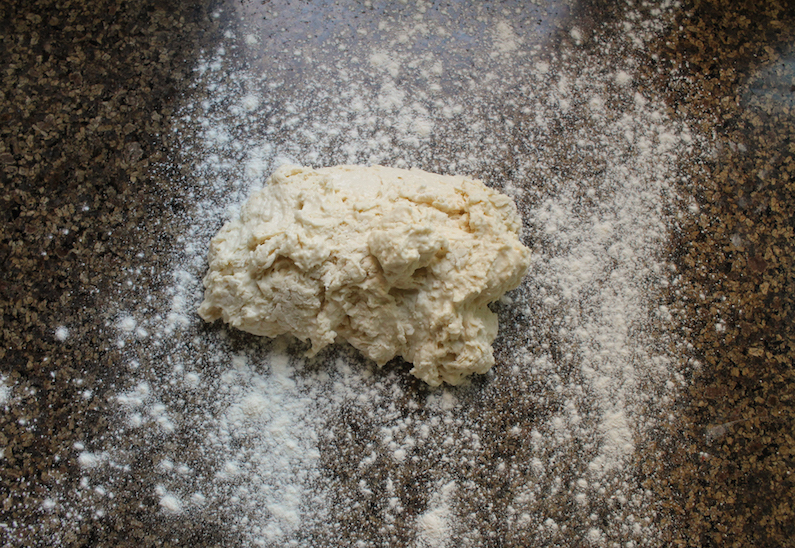 Knead the dough for about five minutes with the mixer or 10 minutes by hand. Sprinkle on a little more flour, if necessary. 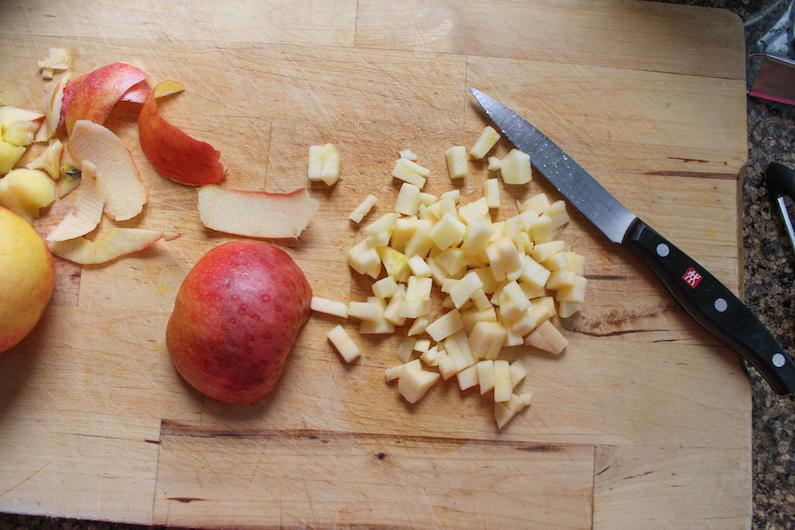 Add in the mixed fruit and peel and keep kneading until it’s all incorporated. 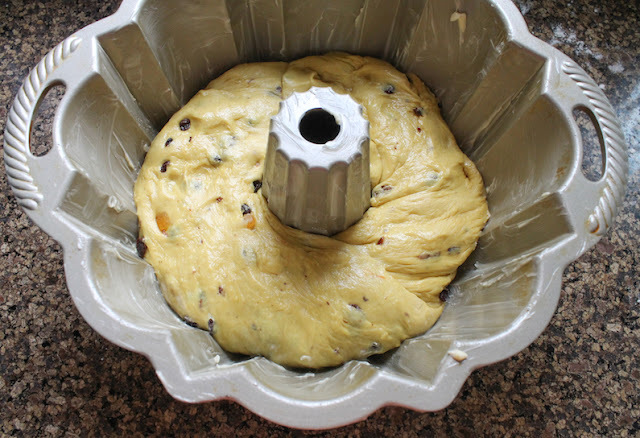 Roll your dough into a fat log and fit it into your buttered Bundt pan, overlapping the ends. Cover lightly with cling film and set in a warm place to rise for about an hour. 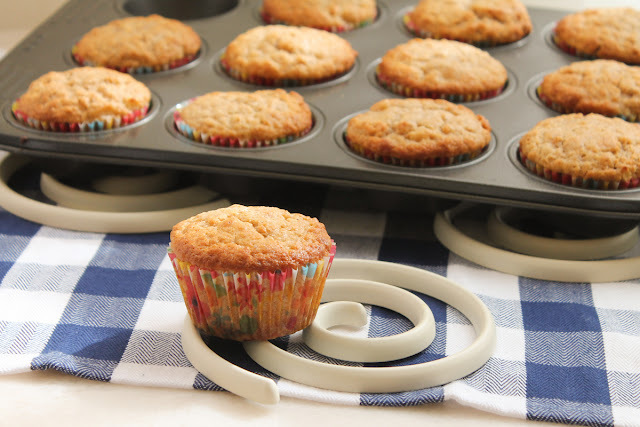 After one hour, start preheating your oven to 350°F or 180°. Once the oven has reached temperature, put the Cornish Saffron Cake into the oven and bake for about 50-60 minutes, until the outside is golden and it sounds hollow when tapped. If it looks like it’s browning too quickly, you can cover the top with foil. Remove from the oven and allow to rest for a few minutes before turning it out onto a wire rack to cool. Cool almost completely before slicing with a serrated knife to serve. 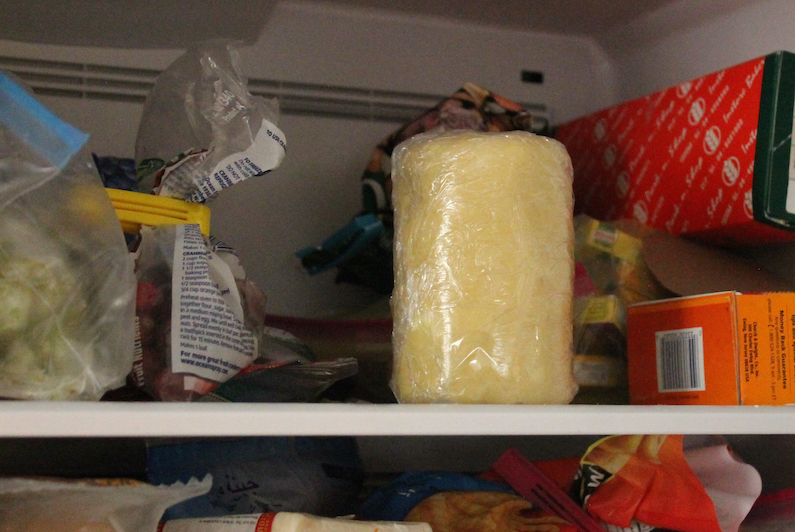 It’s perfect just ever so slightly warm so butter will melt into it. Many thanks to Felice for this great challenge. 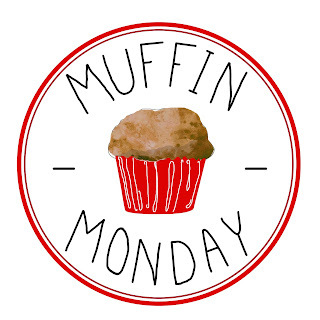 My favorite part of these baking groups is the opportunity to explore unfamiliar cuisines and recipes to fit a theme. I’ll definitely be making Cornish Saffron Cake again. It's superb with a cup of hot coffee or tea! Special thanks also to Wendy from A Day in the Life on the Farm for creating our updated link list! Check out all the other yeasty Bundts we’ve baked for you today. 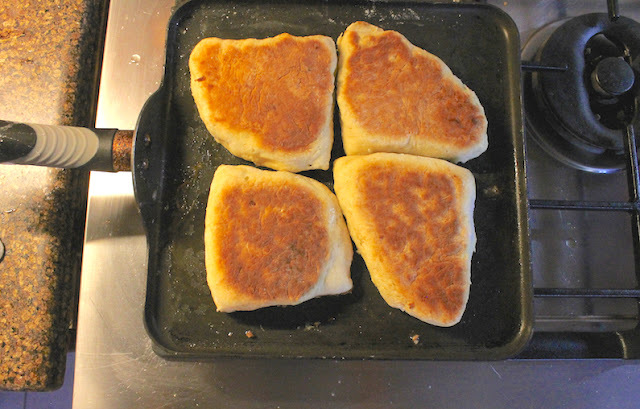 Perfect for a quick breakfast or snack with a cup of tea, soda bread farls are quick bread “baked” on a stovetop griddle, rather than an oven. They are a traditional part of the Northern Ireland breakfast known as the Ulster Fry. 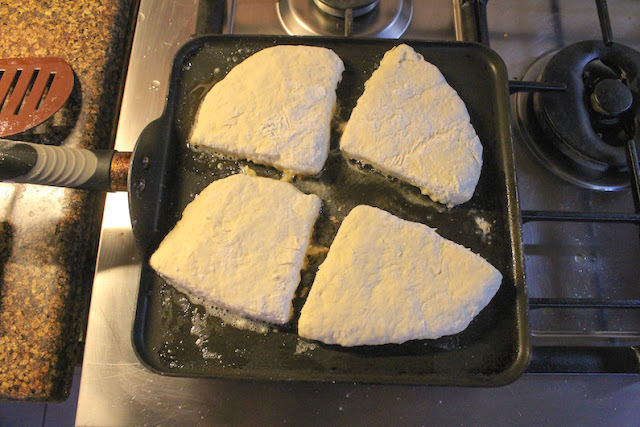 The word farl is pronounced farrel and derives from the old Scots word fardel, which essentially means “a quarter.” The source of the name becomes apparent when you see to make farls you flatten dough into a circle and cut it into four pieces before cooking. Soda Bread Farls are very similar in texture to American buttermilk biscuits or British scones. 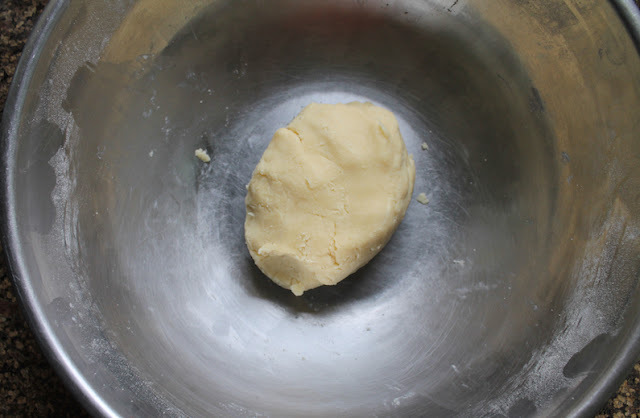 The dough comes together quickly with just flour, baking soda, salt and buttermilk. 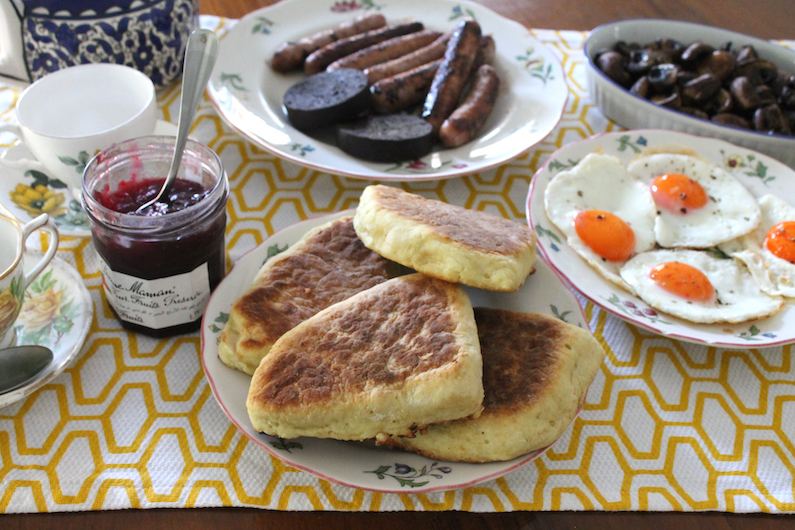 For this post, I decided to make what I call an adulterated Ulster Fry to accompany the soda bread farls. Properly, that breakfast would include the farls, of course, plus sausage, bacon, black and white pudding, fried eggs and tomatoes. Mine included sausage, black pudding, fried eggs and mushrooms. 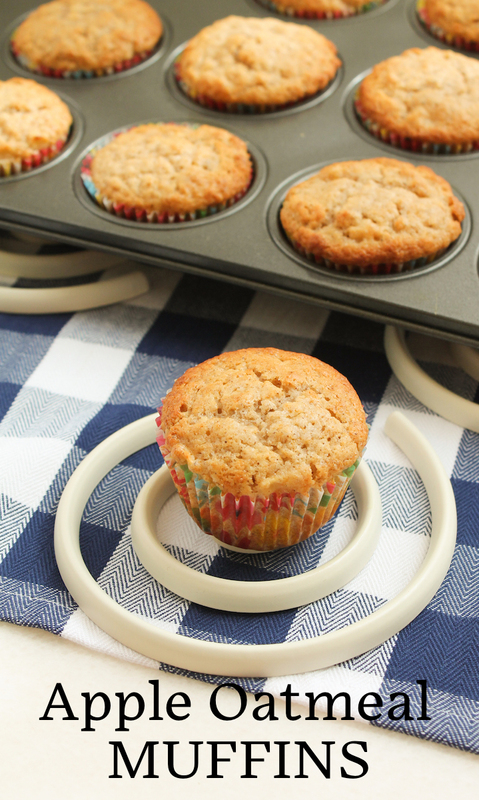 Totally delicious and perfect for a long weekend morning. We weren’t hungry again till almost suppertime! 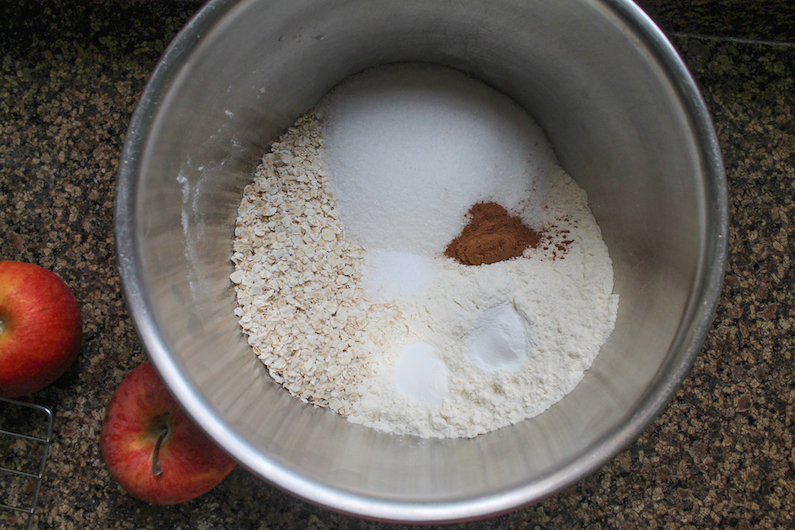 Measure the dry ingredient together into a large mixing bowl and whisk to combine. This aerates the flour and takes the place of sifting. 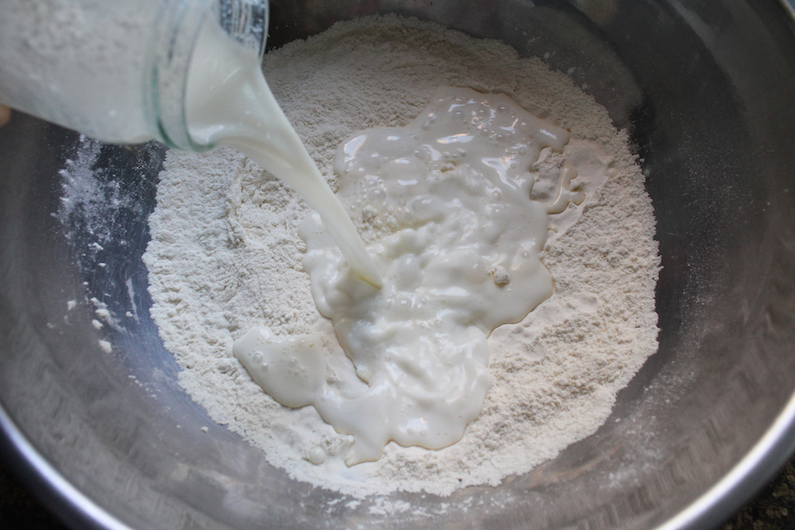 Pour in the buttermilk and use a firm rubber spatula to mix it in to make a soft dough. Flour a clean work surface and scrape the dough out on to it. Flour the top of the dough and your hands and lightly knead the dough. 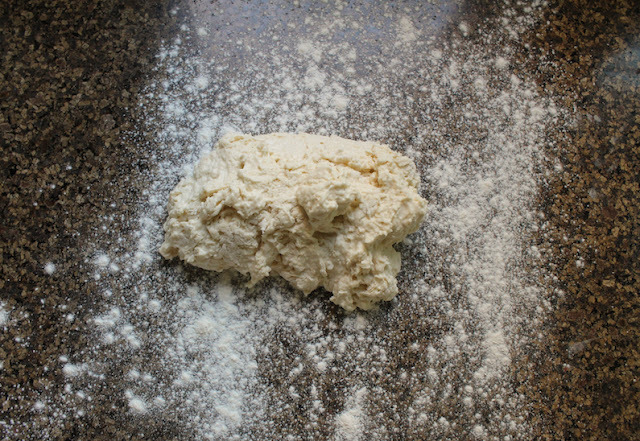 You may have to sprinkle on more flour to keep it from sticking to your surface. Lightly press the dough into a circle about 8 in or 20cm across and about 1/2 in or 1cm thick. 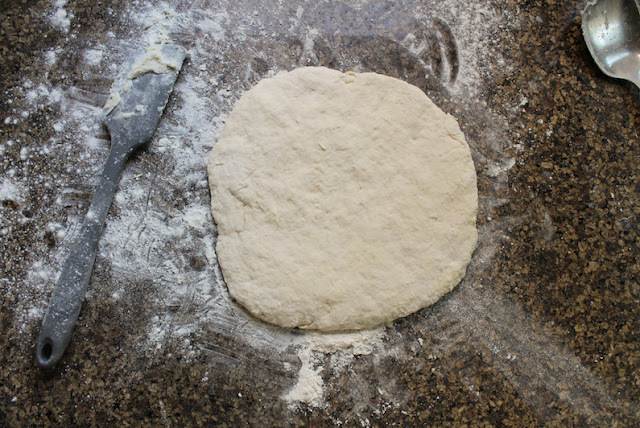 Sprinkle on a little more flour and flip the circle over. Preheat heavy based flat griddle or skillet on medium to low heat. Flour a sharp knife and cut the dough circle into quarters. Add a couple of teaspoons of lard (or oil) to the preheated griddle and transfer the farls to the pan when the lard is melted and hot. Cook the farls for about 3-4 minutes on that first side, watching carefully that they don’t burn. Add a little more lard or oil and turn the farls over. Cook them for about 10-12 minutes in total, turning regularly so that they cook evenly. 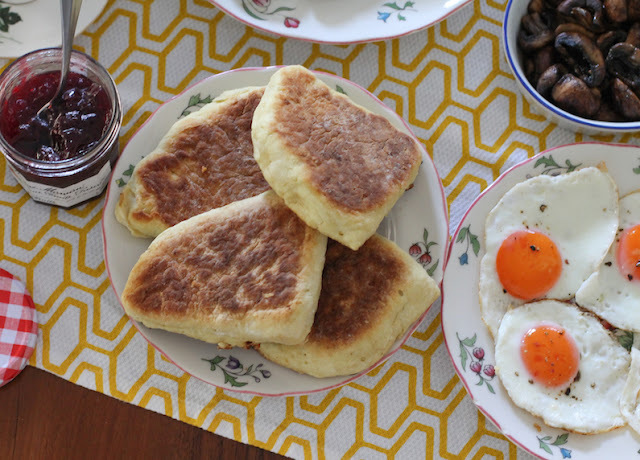 Serve with just butter and jam or as part of a big breakfast. We loved these! 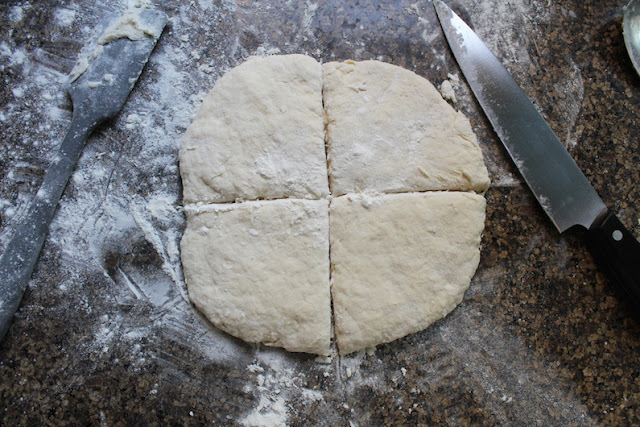 The only thing I’d do differently the next time is to cut the dough circle into eighths instead of quarters, which would change the name I suppose. Don’t think about it too much. Just make them! They "bake" up nicely. 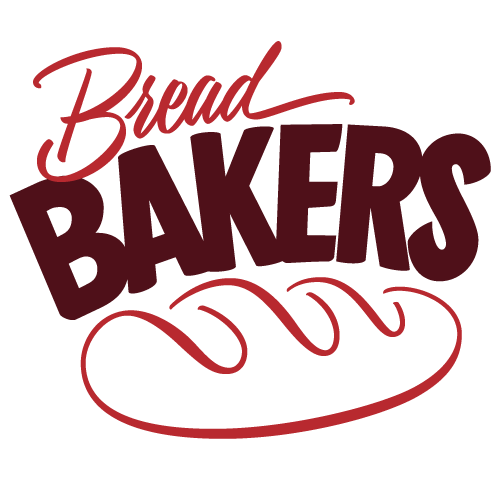 Our Bread Bakers host this month is Wendy from A Day in the Life on the Farm. 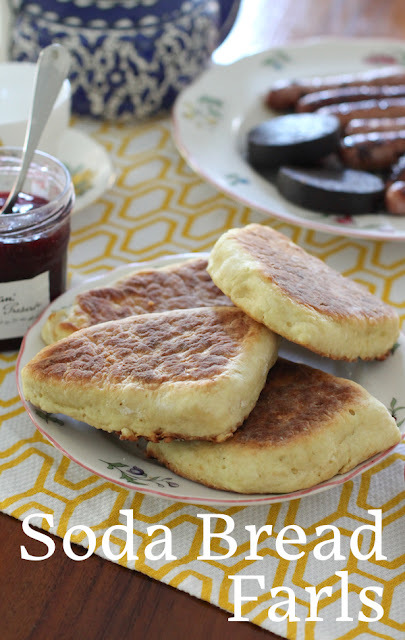 She challenged us to bake an Irish bread since, of course, St. Patrick’s Day is this week. Who knew there were so many? Check them out!